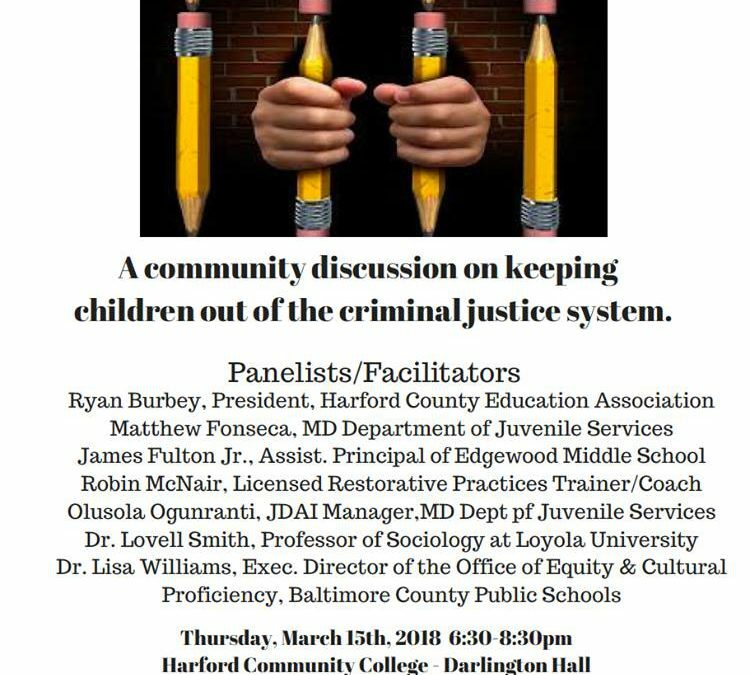 This was a community discussion on keeping children out of the criminal justice system. I heard countless stories from black and mixed-race moms and dads who told us stories about how their children are targeted for disciplinary actions and moved to the side ( a nice way off putting it) of the system. I walked away feeling fortunate that my daughter did not go through that (even though she tells us now she went through 6 years of now disclosed bullying). Feeling very fortunate to be white and to have had my daughter attend Fallston schools. Feeling so sad and depressed that people of color, these wonderful people, have to endure so much with very few people advocating for them within the system. It seems to me, to be black and successful means you have resisted and fought through overwhelming obstacles to get where you are. You are now a beacon to the world. But more importantly, you are now a wonderful role model. 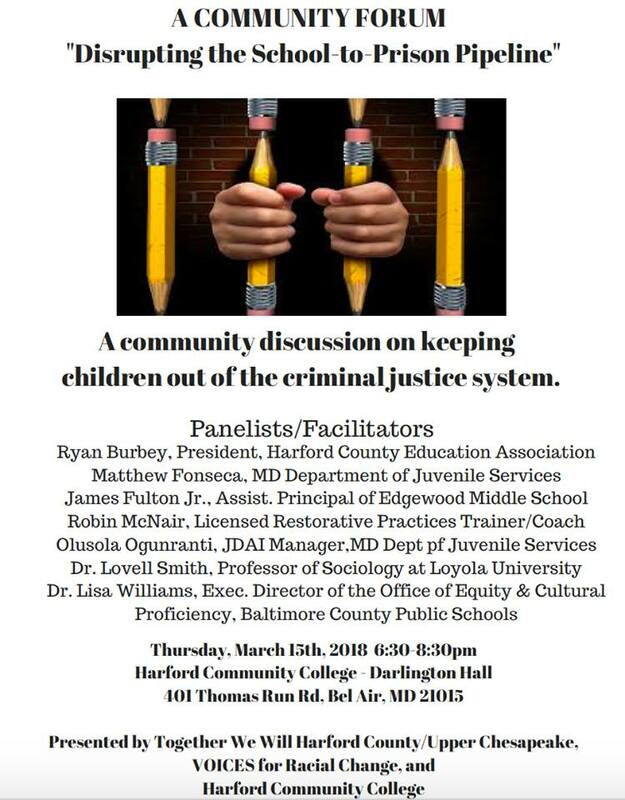 God bless all of you who found a way to make the time to attend this and the previous sessions of this discussion. God bless Delane Lewis for being a community organizer ( I now know what a community organizer does!) and getting us all together to discuss these issues and attempting to bring them into the mainstream conversation. I was a reluctant entrant into the Harford County race. Now that I am running I have to do my homework and learn what is going on. My head was sure in the sand all of the years (12 to 14 hour work days) but glad to help and fight for solutions now.